MzTeachuh: Beware the Ides of March! 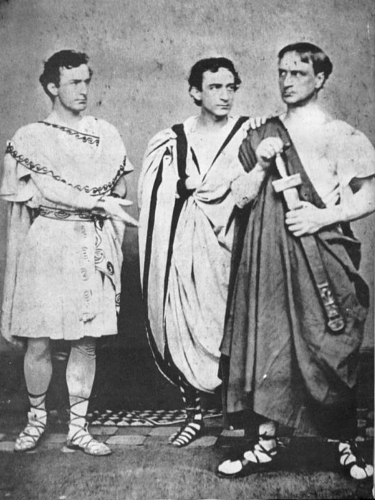 Shakespeare's Julius Caesar with John Wilkes Booth (l) playing Marc Antony and brothers Edwin (c) and Junius playing Brutus. Maybe Edwin played Cassius. March 15 used to be the day untenured teachers received noticed they were being let go. The irony was not not lost on anyone. Here is Marcus Brutus played by Marlon Brando (1953.) There are many excellent film productions of the play; I saw it at the Old Globe in San Diego. As usual, Shakespeare is too cool.